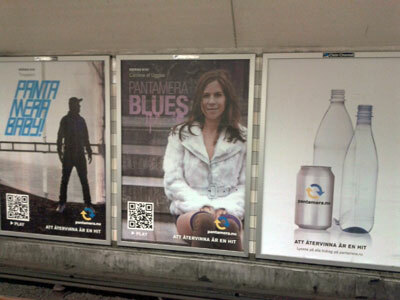 This autumn the use of QR codes in advertising in Stockholm has exploded. There are more codes visible now than ever before. Unfortunately the majority of them are poorly implemented. 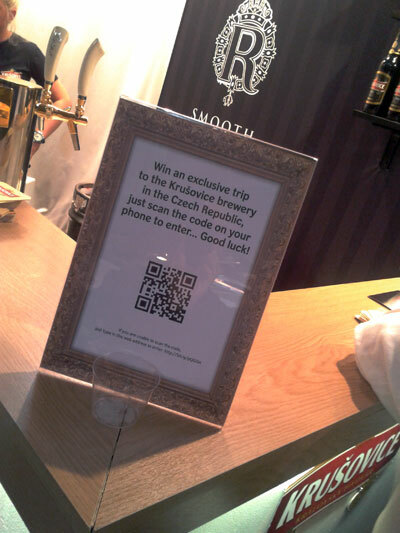 If the QR code doesn’t add to the user experience, don’t use them! 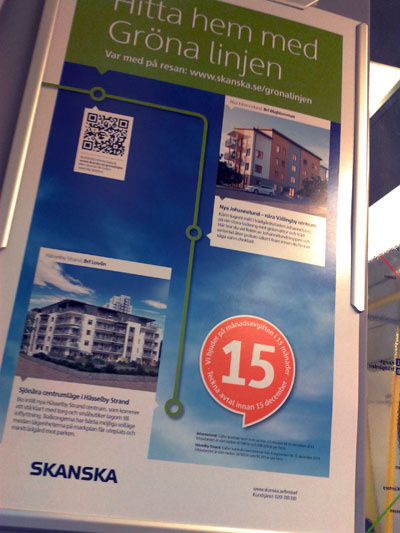 In this blog post I’ve collected together a number of recent examples of QR codes in the wild here in Stockholm, Sweden. Almost every single code took me to a standard desktop website (or campaign site). Most of them led to a page that was not designed or adjusted for handheld devices. If a fishy bites, hold on! QR codes are not going to be scanned by a large number of people – irrespective of the hype, most people don’t know what the hell they are, don’t know how to scan them, or don’t care about scanning them. When you get someone who does know what they are, and does bother to scan them – you want to make sure you hold on to them! This means what happens once they’ve scanned the code needs to help them take the next step in a relevant context. 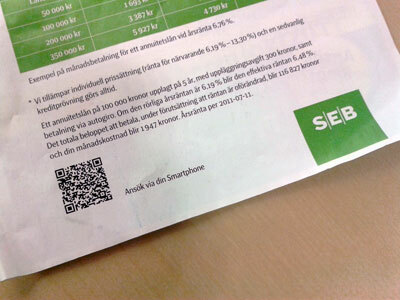 By and large this means always think mobile when you are using QR codes. This is the context your target audience are in when they scan. Anything other than mobile-ready content or service will make their interaction more difficult. This will reduce their happiness, reduce the chance of meeting your goals, and potentially damage your brand. The code leads to the full desktop website. No handheld or responsive version available. 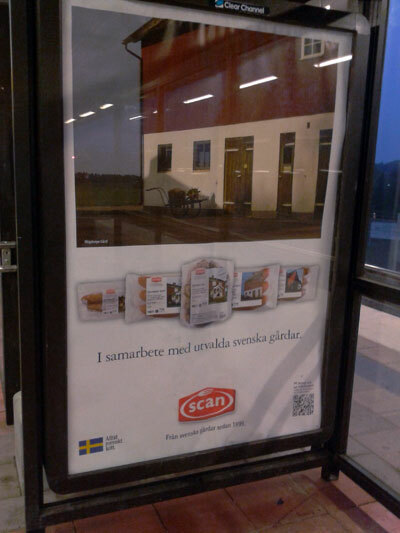 Scan this product packaging and you are taken to a desktop site showcasing their products. 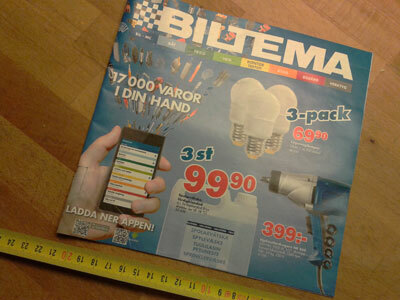 Leads to a page that has been designed for mobiles. The page contains a form, but there is still room for optimised it to make completion as easy and as successful as possible from a touch-screen device. Two tiny codes, very close together. 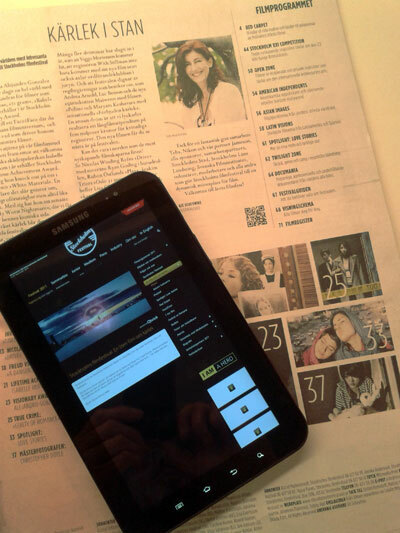 One for the Android app and one for the iPhone app. They do both scan, but you have cover up one of the codes to ensure you scan the correct one. I didn’t manage to get this code to scan. 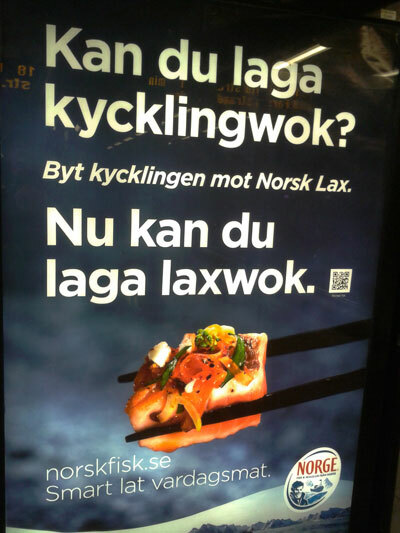 It was very badly positioned (right at the bottom of the advert) meaning I had to get down on my knees to try to scan it. The code was also relatively small and contained a lot of data. 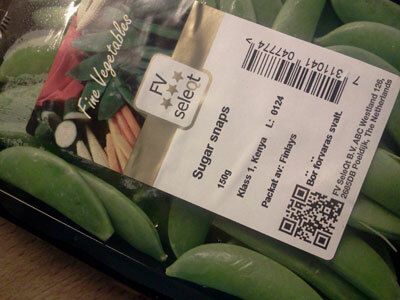 Scan the code and you end up at a recipe, on a desktop web site. No mobile version. Code to apply for a loan. This year’s film festival site is really quite good, but shame they used a code that pointed straight to the desktop site. No mobile site is available, but there is an iPhone app. 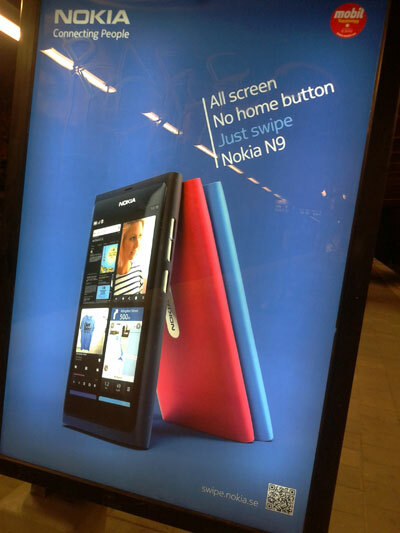 This code was featured on an advert on the Stockholm metro leads to a desktop website. One of the few better implementations included in this blog post. The codes lead to YouTube videos, which serves a mobile version of it’s site (or can even open directly in the YouTube app on many mobiles). You can find all of these QR codes (and more) in this set on my Flickr stream.